Please note, however, that due to time constraints, the Museum is unable to review and respond to unsolicited exhibition proposals or artist submissions. Please be advised that materials sent to the Museum cannot be returned. Tricia oversees the Museum’s administration and advancement while ensuring that its exhibitions, programs, and collection uphold the institutional mission. She earned an A.B. in English and art history from Dartmouth College and a masters and PhD in art history from the Institute of Fine Arts, New York University. An experienced art world professional, Tricia has worked at the Indianapolis Museum of Art, the Saint Louis Art Museum, The Museum of Modern Art, The Metropolitan Museum of Art, and Christie's Education. A specialist in modern and contemporary art, she is the main author of the 2015 Phaidon survey of Ellsworth Kelly’s life and career. Aaron assists with the general research, interpretation, display, and care of the Museum’s collection, with a focus on decorative arts, archaeological artifacts, and other objects of material and visual culture, including the holdings of the Joseph Allen Skinner Museum. With a background in anthropology and history, he holds a PhD in Historical Archaeology from Memorial University of Newfoundland, Canada. Katelyn assists with the general research, interpretation, display, and care of the Museum's collection. She assists with rights and reproduction of the collection and promotes the Museum through social media and other communications. She holds a B.A. from the University of San Diego. Ellen manages and develops the Museum’s Teaching with Art program for both academic and community audiences. She serves as a liaison to faculty, actively encourages collaborations with campus and community partners, and promotes object-based learning across disciplines. Ellen holds an M.A. Ed from the College of William and Mary and a B.A. from Mount Holyoke College. Kendra facilitates the use of the Museum and its collections by faculty and students, oversees the Museum's label production and newsletter, and manages the Student Guide Program. Kendra’s background is in Islamic art, and she holds an M.A. from the University of Massachusetts Amherst and a B.A. from Oberlin College. Linda is responsible for the implementation of policies and procedures that ensure the proper documentation, indemnification, preservation, protection, movement, and installation of works of art in the permanent collection, the Skinner museum and objects in the custody of the museum for loans or exhibitions. She holds a B.A. in Art History from the University of Massachusetts, Amherst, and has held registrarial positions in museum of various sizes and governance. Jacqueline facilitates the logistical installation, preparation, movement, and storage of the museum’s permanent collection and long-term loans. She is also responsible for installing special exhibitions, managing the Museum’s gallery spaces, and providing support to the Curatorial and Education departments. Jacqueline has a M.A. in Museum Studies from Syracuse University and received a B.A. in Studio Art from Mount Holyoke College. Sam is responsible for the tracking, movement, and care of objects used in support of curricular activities at the Museum. Working closely with both Collections Management and Education staff, he facilitates the use of art during class visits and works with individual faculty and students researching the collection. Sam is also a practicing artist with a BFA in Printmaking from the Rhode Island School of Design and an MFA in Painting and Drawing from the California College of the Arts. Laura is responsible for all aspects of the digitization project, including physically handling and preparing art and artifacts for photography. She also photographs a variety of Museum related events, such as exhibitions, guest speakers, classes, tours, and faculty workshops. Laura holds a B.A. in Art History from Mount Holyoke College and has a background in photography. Glenys manages the office administrative and visitor experience functions including supervision of student receptionists and gallery guards. She also provides support to the Museum Director and the Manager of Museum Advancement and Finance, manages logistics for and promotion of Museum events, and assists in communications and marketing functions. 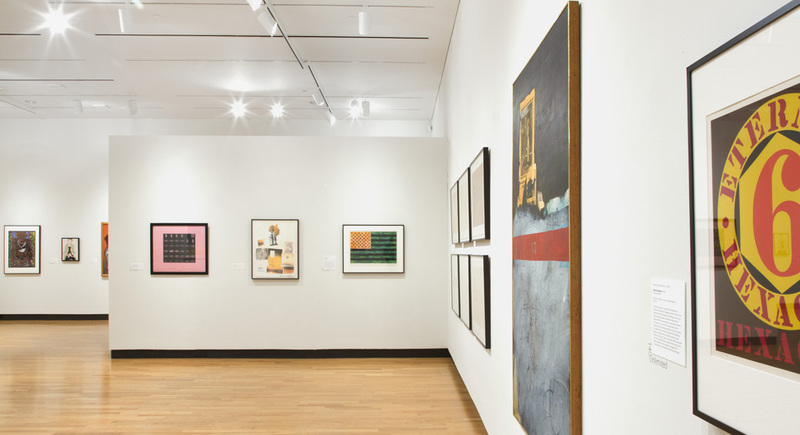 John’s time is shared between the Office of Professional and Graduate Education at Mount Holyoke College and the Mount Holyoke College Art Museum. For the Museum, John processes financial transactions, analyses financial data and prepares reports for internal and external users. He’s earned a BFA from the University of Massachusetts, Amherst, an MBA from William Carey University in Mississippi, and a MSA from Western New England University in Springfield, Massachusetts. Wendy works on research and interpretation of the museum collection and consults with staff on special projects including exhibitions and collection-based installations. Her special interests are Italian Renaissance, ancient art, and the decorative arts. She holds an M.A. from the University of Massachusetts, Amherst, and an A.B. from Smith College. Hilary maintains and updates the Museum's website. Her background includes computer science, library science, and literature. She holds an MA from the University of Arizona's School of Information and Library Science, and an AB from Harvard University.